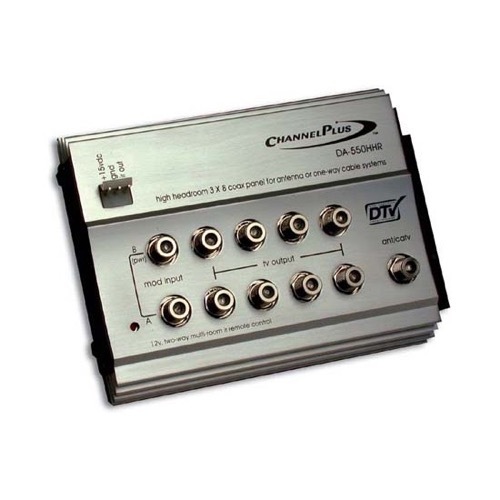 The Model DA-550HHR High-headroom RF Distribution Amplifier with 12-Volt IR is the heart of a multi-room distribution system with outputs to eight televisions with coax runs up to 150 feet. The Model DA-550HHR has three inputs, one from off-air antenna or CATV and two from Channel Plus 5400, 5500, or SVM series modulators. The DA-550HHR is used with antenna applications for off-air digital and NTSC signals.